Metal Gear Solid 5 is the long awaited finale of the great series you've come to love. The year is 1984 and the game follows Big "Venom Snake" Boss as he travels to Africa and Afghanistan to search to search those who are responsible for almost wiping out his forces as seen in the ending scene of Ground Zeroes. 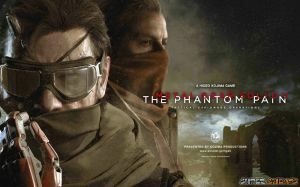 The gameplay elements of Phantom Pain are similar to Ground Zeroes and players will have to sneak into key locations while roaming a vast open world map, and simultaneously build an army and their own advanced military base. MGS5 is a complex and dynamic game, definitely deserving of a guide. Due to the sheer dynamic gameplay, this guide has an extensive Basics section. Even if you plan on playing the game without a walkthrough on your first playthrough, it is highly recommended to take in these general tips, some of which may actually teach you new, lifesaving abilities. Welcome to SuperCheats' unofficial guide for the game. Please use the menu on the right to navigate. The game is set to be released on September 15, 2015 on the PS3, PS4, Xbox 360, and Xbox One. You can get notified of updates to this guide by placing your email address in the 'Guides Updates' box - just hover or click on the Guide Updates section to the right. No discussions open for Metal Gear Solid V: The Phantom Pain at the moment.